If you have been on the house hunt in the Downtown San Diego area you may find that space can be limited at times. On average around 1,000 square feet is what to expect for a 2 bedroom. Here are some tips to help you utilize all of the space. 1. Do you have stairs? 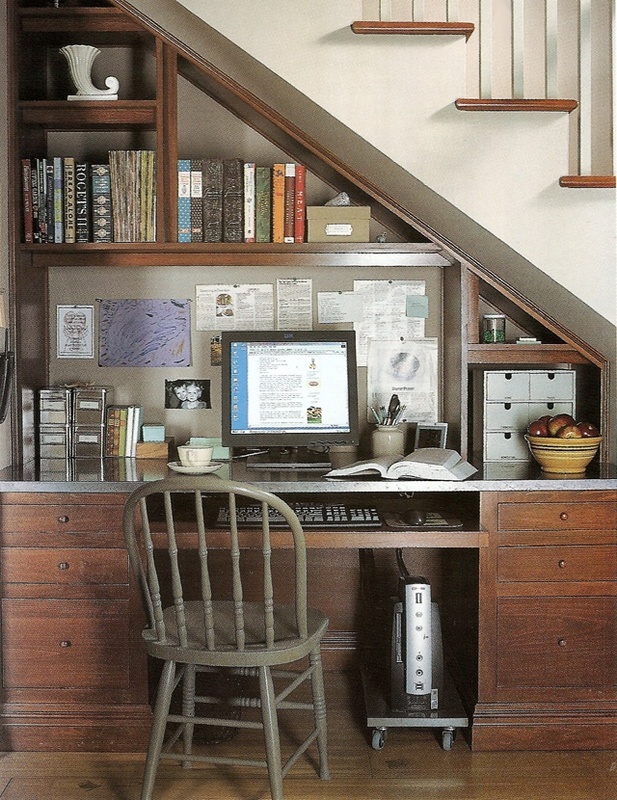 If you do think about turning the open space underneath the stairs into a home office. This can open up space in your home because it alleviates the need to have your “office” in your bedroom. A study done by The University of Southern California shows that you should have two separate spaces one for sleep and one work and that the two should easy to distinguish. Building a home office can also be written off at the end of the year, and the materials/labor can also be taken of as well. 2. 2 in one furniture. It may sound weird but there are some amazing companies out there who have created some great pieces. 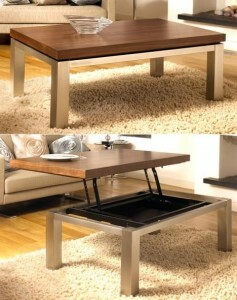 If you have a small place that you need to furnish I would look at furniture that can be used as a dual purpose. Like getting an ottoman that can store blankets, Christmas décor etc. Also think about a coffee table, utilize one like the one below which has ample storage and also converts into a place to eat or a work station. Also think about scaling your furniture down, we all love Restoration Hardware, but having a living room where the couch is the only thing that can fit in it isn’t appealing to us. Make sure that the furniture you buy will not overtake your space but will help to enhance it. 3. 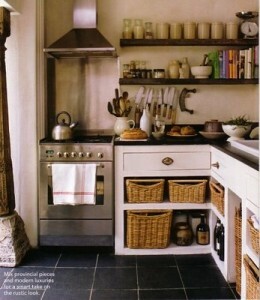 Is your kitchen small? Here is another great idea, from one of our favorite interior decorators. 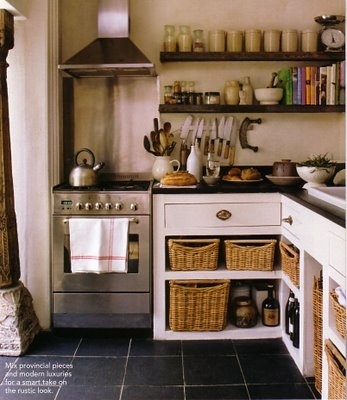 If you have a small kitchen removing the cabinets above is a great idea, and replacing them with open shelving. This will open the kitchen up and make it feel bigger. Also it allows you to display your beautiful glassware and dishes for everyone to see. 4. Living the urban life style is a great one and you most likely will have a bike when living downtown. It has always been a mystery as to where to put said bike. Sure hanging it on the wall can be a great idea but what if there was something else. 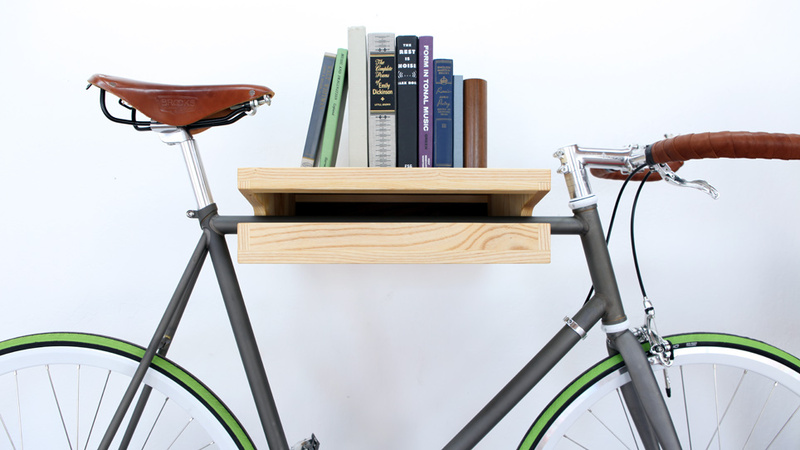 Something that showcased your bike and also held a purpose… Our friends at Knife and Shaw make a self that holds your bike while displaying it beautifully. We hope that this little guide helps you while you are on the home search in the Downtown San Diego Area. We are experts when it comes to finding people homes in the urban oasis of downtown. Customer service is number 1 to us and we love getting our buyers into the best home that best fits their life style. So if you are thinking about making the move give us a call and we will give you the inside scoop on the best areas and the best deals that the Downtown San Diego Area has to offer.